Aomori's attractions. Let's find Aomori's attractions, love it, and extend it. The site offers information about Aomori's attractions with Aomori's people. Various medias like TV or magazines play up informations of Aomori's local news posted from users. Why did you choose AMIMOTO self-hosting? We’re looking to transfer to a new host since there were some security and performance issues on the server-side of the WordPress site that we operate. We were fortunate that when we were looking for a new host, we found AMIMOTO gave it a try. The performance is high and so we decided to transfer. Where did you hear about AMIMOTO hosting? We were looking for a high-speed WordPress environment and we saw various user cases of AMIMOTO. Why did you decide to use AMIMOTO self-hosting plan? Easy migration and high performance. Getting Started with Amimoto AMI self-hosting plan (when migrating) were there any issues? Although we know that the performance is high, we were still concerned about the server-side security. We’ve also discussed about AMIMOTO managed hosting, but we found an AWS partner(Heptagon.Inc. 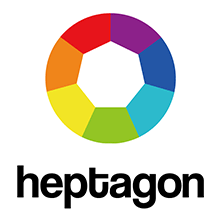 : http://heptagon.co.jp) around us, we took on their full-managed service. How’s the support and performance of AMIMOTO self-hosting? There’s no problem about the performance. Since Heptagon handles the monitoring of services and resources, the applying the patches, we can now focus on the creation of our content. Other than “青森の魅力(Aomori’s attractions)”, we’re using AMIMOTO in multiple sites in our company. Our concerns about performance has been resolved. When we were having issues, we entrust our server operation to this company who knows AWS very well. So now we can concentrate on our main business which is to create our contents. We definitely recommend this company. We would like if it would be easier when we can migrate from the old HVM instance to a new HHVM instance. We are the cloud integrator authorized as the first AWS consulting partner in the Tohoku area. We provide the full-managed service which covers all of server side such as designing and building infrastructure, monitoring and maintaining instances, security practices, and customizations. We also provide the representative service of fixed fee for AWS (We pay AWS the fee and we charge a fixed fee including the AWS fee and the full managed service to the customer). We are good at moving the small to middle scale systems to the cloud, and support rural companies to help building the base developing a business and services utilizing the cloud. We also have had hands-on workshops of AMIMOTO in various regions, and a lot of experience of introducing and managing AMIMOTO.